The two apps presented in November at i2LPitch Montserrat have been selected to be a part of a regional tech programme for entrepreneurs. Following a recent call for applications, over 200 entrepreneurs applied to be part of the Caribbean Tech Entrepreneurship Programme (CTEP), funded by the Caribbean Development Bank. Among them were several local applicants, two of which made the cut. 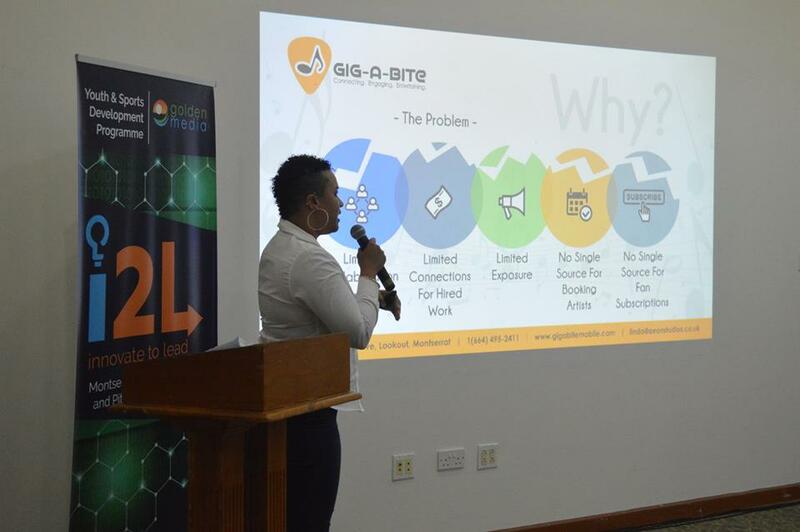 Linda Dias, Winner of i2LPitch Montserrat, was selected in the ideation category for her mobile application for musicians and promoters called Gig-A-Bite. Dias said she is looking forward to the process which will help her turn the idea into reality. Also accepted was Dexter Small for Yado, which was runner-up at i2LPitch. 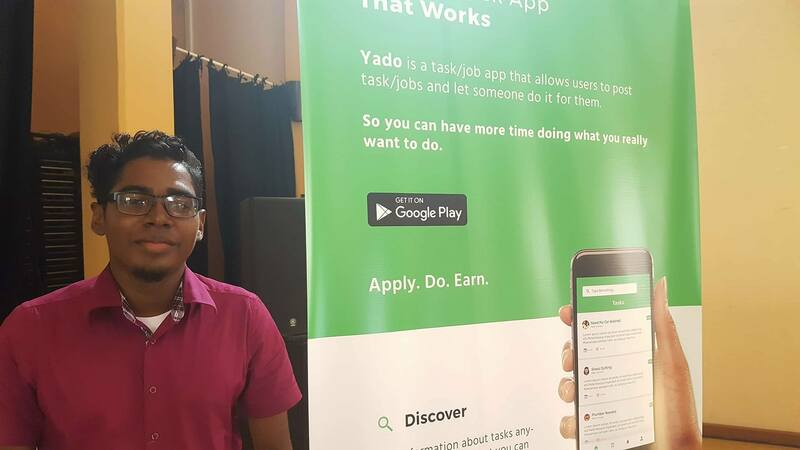 Yado is an app built on the Android platform which will connect service providers with customers needing help. Small says he is ready to make CTEP history. CTEP is a virtual incubator and accelerator programme focused on stimulating the creation and supporting the growth of technology entrepreneurship in CDB’s 19 Borrowing Member Countries, including Montserrat. The programme will provide regionally relevant capacity-building workshops and critical mentorship support. Linda Dias presenting her app Gig-a-Bite at i2LPitch in November 2018. The first cohort is expected to commence this month and the selected entrepreneurs will compete for cash and business support prizes. 50 teams’ businesses are in the Ideation stage, 30 in the Validation stage and 10 in the Scaleup phase. These teams will cover critical capacity areas over a 10-week virtual course under the tutelage of qualified mentors and facilitators. “Supporting sustainable growth is one of CDB’s strategic objectives. This technology focused incubator programme creates a platform for scores of entrepreneurs to develop the skills they need to advance their businesses, and to develop a range of innovative solutions for the market. They, in turn, can be better positioned to create further employment opportunities for others as they expand their companies, and indeed contribute to the digital transformation of the Region,” said Lisa Harding, coordinator of micro, small and medium enterprise development at CDB. web-based business toolkits and critical skills learning modules. i2LPitch Montserrat was organised by the Youth & Sports Development Programme and Goldenmedia in November 2018. It provided a boot camp, mentors and a pitch competition to help entrepreneurs develop their ideas. Winners received more than $15000 in cash, prizes and mentorship.